Please be sure to visit us on Facebook. to see our latest concrete projects and photos for inspiration. Read about us in the Marin Magazine Summer Guide! 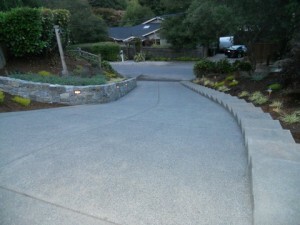 Check out my interview, Installing Concrete Patios on BayAreaForSale.com. I’m really pleased with the way it turned out. I hope you enjoy it. 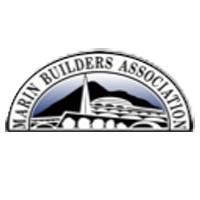 Is it time to get your Marin County concrete driveway replaced? Cracked, broken and sunken driveways are a common sight in Marin County. If you’re living in a Marin County home that was built in the last half century, the driveway is most likely original with the construction of the house. 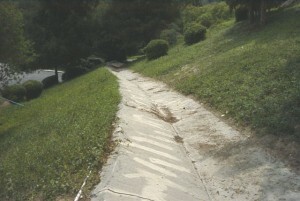 Time and the elements do a good job of compromising the integrity of concrete driveways. You’ve probably been looking at your unsightly, cracked and worn out driveway for years and if you wanted to get it replaced you may have put off doing for many reasons. However, there are just as many reasons to get your Marin County driveway replaced today. The time to get that old driveway replaced with a new one from Van Midde and Son Concrete is now! New Eichler Homes in Marin? If you’ve driven around the neighborhoods of Terra Linda, Marinwood, or Lucas Valley then you are no doubt familiar with the home design style of Joseph Eichler, a mid-century American developer. Recently the Marin IJ printed an article about how home builders are buying new plans for Eichler homes. These plans are drawn up with all of the modern building code specifications, so that new home owners can appreciate the Eichler design along with the latest innovations in building technology. Winter storms are upon us! The rain that fell upon Marin in the last week led to many calls to the Van Midde & Son Concrete office from homeowners dealing with the aftermath. If you noticed any issues with your drainage during the recent storm we would recommend that you call a professional concrete contractor and get the problem taken care of. 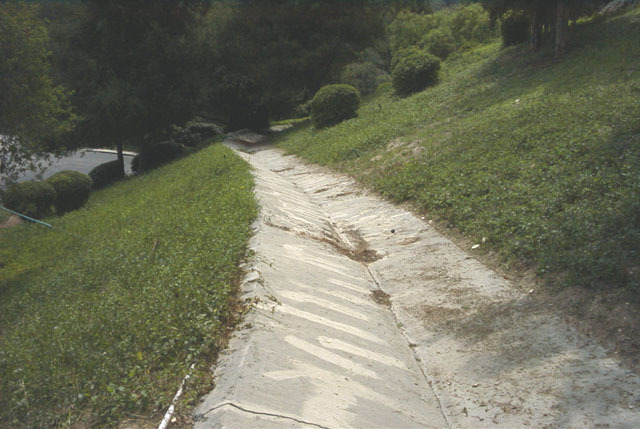 Van Midde and Son Concrete has the experience to handle almost any drainage situation that a Marin County homeowner could face. In addition to the inconvenience of having water pooling up around your home, improper or broken concrete drainage can lead to costly property damage. The price of property damage caused by water can be very high for Marin County homeowners.